Paul Holmquist, PhD, is an assistant professor of architecture at Louisiana State University whose research and teaching focus on the interrelationship of architecture, political theory and theory of technology, particularly in terms of conceptions and experience of the public realm. He holds a post-professional Master of Architecture and Doctor of Philosophy in Architectural History and Theory from McGill University, a professional Master of Architecture from the Southern California Institute of Architecture, and a Bachelor of Arts in Art from the University of California, Los Angeles. His doctoral dissertation examined Claude-Nicolas Ledoux’s architectural theory and ideal city of Chaux in relation to the moral and political philosophy of Jean-Jacques Rousseau, and the wider ethical and political implications they posed for the development of modern architecture. 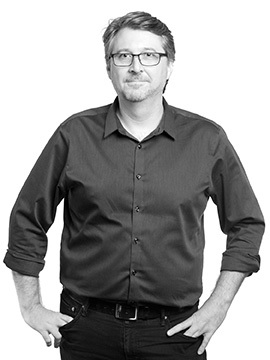 Prior to joining LSU, Holmquist taught architectural history, theory and design at Carleton University and McGill University, and was the project manager of the Institute for Urban Futures at Concordia University in Montreal. He previously taught at SUNY College of Technology at Alfred and Kansas State University. His research has recently been published in THE PLAN Journal, Chora 7: Intervals in the Philosophy of Architecture, and Reading Architecture: Literary Imagination and Architectural Experience. His essay “Between Making and Acting: The Inherent Ambivalence of Arendtian Architectural Theory” will be included in the forthcoming The Figure of Knowledge: Conditioning Architectural Theory, 196X-199X, to be published by Leuven University Press.